This addon reduces all existing mobs by several times and also reduces the basic parameters such as health and damage. 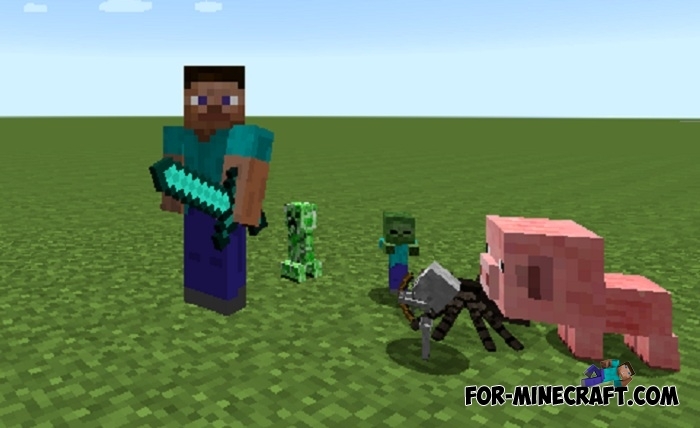 Mini Mobs is very funny and at the same time a simple addon for playing with which you can build various mini games or use the mobs in competitions. The remaining parameters will remain the same so beware of hostile mobs if there are a lot of them near you. Parrots can not be reduced. Oh yes, if you also want to reduce blocks and build a mini city then look at the Mini City Texture Pack, which adds several dozen specially selected blocks in the form of buildings, trees and other elements of cities. In general, you can form your own city occupying 10x10 blocks together with these two addons. 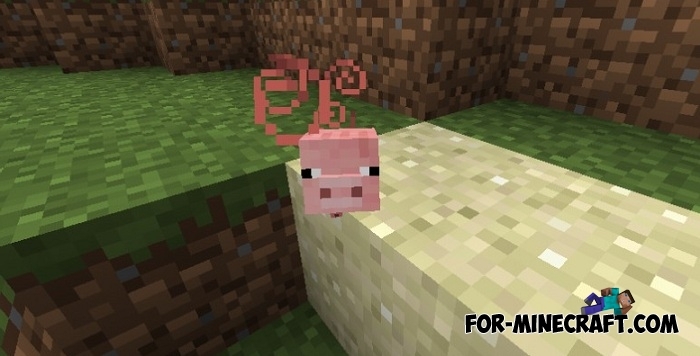 How to install the Mini Mobs addon? Mini City Texture Pack for MCPE 1.0 - 1.11This texture pack replaces all the building blocks to the ready-made parts of buildings, as well as elements for upgrading..